Talking around the world without wires. Legacy communication modes like Morse code and Radioteletype (RTTY). 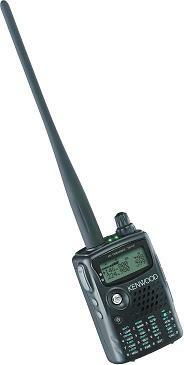 New communication modes like digital packet, Automatic Position Reporting System (APRS), and spread spectrum. 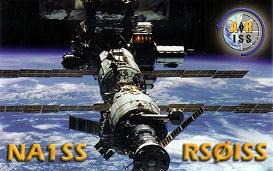 Amateur radio satellites in space. Foxhunting (using “radio direction finding” techniques to find a hidden transmitter). Moonbounce (talking by bouncing radio waves off the moon). 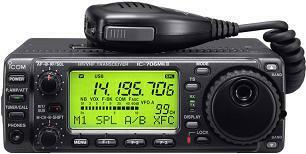 Ham radio is different from Citizens Band (CB), Family Radio Service (FRS), and the General Mobile Radio Service (GMRS), which only allow local communications using strictly limited modes and frequencies (although some CB operators do manage to talk fairly long distances using illegal linear amplifiers). By comparison ham radio operators are allowed to use many modes of communication: AM, FM, CW, SSB, RTTY, SSTV, ATV, Packet, and a hundred others you’ve probably never heard of. We have privileges all across the radio spectrum, from shortwave to microwave. We routinely talk to other hams across the globe, from Antarctica to Greenland, from Afghanistan to Zimbabwe, all without breaking a single law. Ham radio is also polite radio, without the crude and foul language of CB, probably due in large part to its licensing requirements. To use ham radio, you must pass a written examination and be assigned a call sign from the FCC. For example, my call sign is “NØCKR”. I’m the only licensed radio operator in the world with that unique call sign. Until recently you also had to pass a Morse code exam to get a ham license. However, the FCC did away with that requirement a few years ago. There are no more Morse code tests! The FCC currently issues three different classes of amateur radio license: Technician, General, and Extra. The examination for the entry-level Technician license is fairly easy, covering basic ham radio regulations, safety, operating practices, and simple electronics. The exam has 35 questions, and you need 75% (26 questions) correct to pass. The questions are selected from a published pool of about 400 standard questions. And while you’re preparing for the exam, you’ll also learn a lot about your new hobby! The Technician license is primarily useful for talking around town using repeaters, although it also allows all modes of communications in the VHF, UHF, microwave, and beyond. Unfortunately, it only gives very limited privileges in the HF bands, the ones primarily used for long-distance communications. Each subsequent license exam is more challenging, but also conveys additional operating privileges. The General class license gives you extensive privileges in the HF frequencies, enough to talk to every country in the world. The Extra exam is quite difficult, with a pool of over 700 questions. It is considered to be the “crown jewel” of amateur radio licenses. Ham radio is basically a social hobby — whether you’re talking around town, around the world, at club meetings or conventions, you’ll be getting to know some pretty darn nice people! Some go on DXpeditions, traveling and operating in obscure and remote locations, helping other hams get contacts with rare locations like Clipperton Island and Scarborough Reef. There’s nothing like the excitement of being on the “pointy end” of a pileup! Some hams like to experiment, designing their own radios, or building them from a kit. Some experiment with radical new designs for antennas. Hams enjoy public service, providing communications support for events like RAGBRAI, parades, and 5 & 10k races. When large crowds of people try to use their cell phones all at the same time, the cellular systems are swamped and unreliable, but ham radio gets the message through. And most important of all, emergency communications: from 9/11 to Katrina, when the primary communications networks go out, amateur radio operators are trained, equipped, ready, and able to provide emergency communications. When all else fails, there’s amateur radio! You can get started for under $100! In fact, I teach a one day class for $99 that includes books and materials, the class, testing fee, membership in local club(s), and your first amateur radio! If you want to talk around the world, a complete HF station can run anywhere from $100 to $10,000 or more. On the inexpensive side, if you’re willing to settle for used equipment without all the latest features, you can often find fully functional HF rigs in the $100-$300 range, and it costs next to nothing to build your own home-made dipole antenna. Once you obtain your license, get involved in your local amateur radio club for advice and to hear about the latest local deals. If you have a little more money to spend, you can set up a very nice station for around $1000. A great place to start is with the equipment reviews on eHam.net. 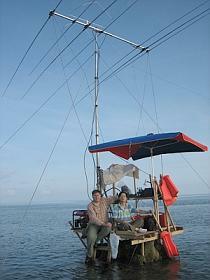 Of course, if you want the very best radios and antennas on 200-foot towers, the sky is the limit! Satellite, Networking, Digital, Television, GPS, Morse Code, and yes, voice! Radio receivers & transmitters, antennas, computers, test equipment, and even satellites! FCC Technician Class Exam & Same Day Results! Q: Can I really do this in a day? A: Absolutely! The basics are actually fairly simple. The math is basic. You’ll learn a lot more AFTER you earn your license! Our first-time pass rate is 92%! A: No! If you can read and write, you can earn a ham license. We will email future class schedules. December Meeting: SCOTT’S FAMILY RESTAURANT!